OK, let me say upfront that this should not be so hard. But it is. 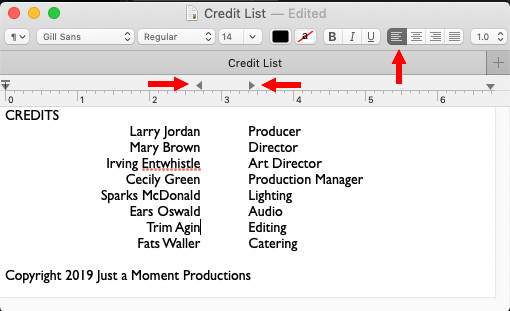 Final Cut Pro X provides a simple scrolling credits effect in the Titles browser. However, if your credits are more complex, or exist in a word processing document, life gets much harder. 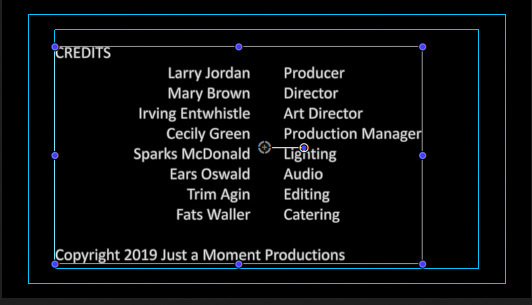 Perhaps you’ve seen the Scrolling credits option in Final Cut. (Titles > Credits > Scrolling). At which point, FCP X gives up. 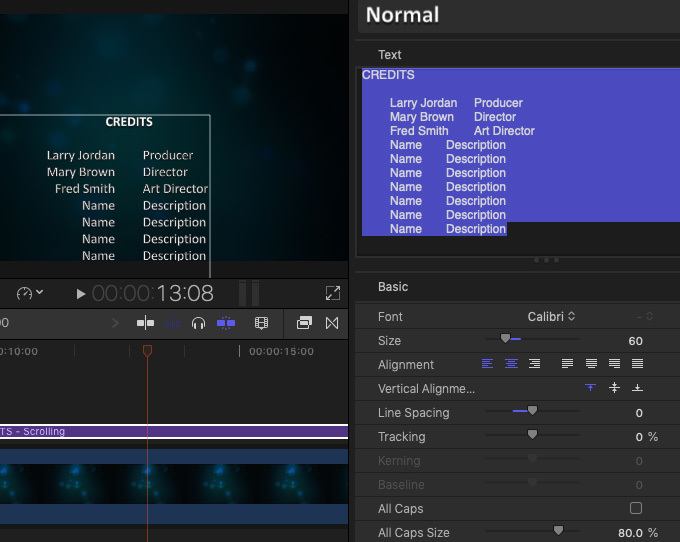 BIG, BIG NOTE: Motion does NOT automatically save anything, unlike FCP X. BE SURE to type Cmd+S frequently to preserve your work. To format individual lines of text, I found it works better to select them in the Viewer, then make changes. 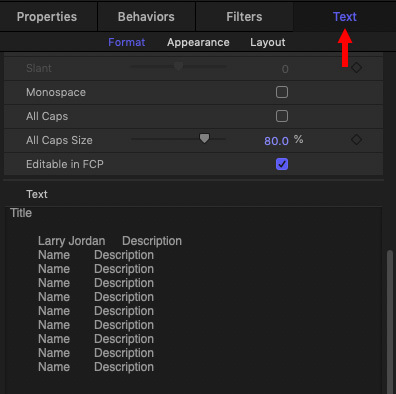 For example, to center a line of text, put your cursor in the line you want to center and click the Center Alignment option in the Inspector. NOTE: In order for the tab alignment to work, the tabbed text must be left-aligned. There’s a text ruler in Motion. To display it, choose Ruler from the View menu in the top right corner of the Viewer. 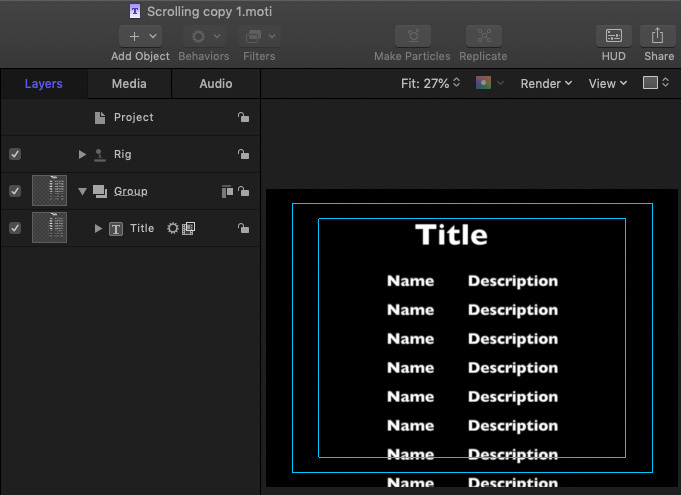 Select the Title layer in the Layers panel, then double-click the text in the Viewer. The ruler displays at the top. Make sure all your text is selected, then drag the tab stops at the top to get the width of text that you want. As long as there are no other tabs in the document and all centered text does not use a tab, the only thing that changes is the tabbed text. 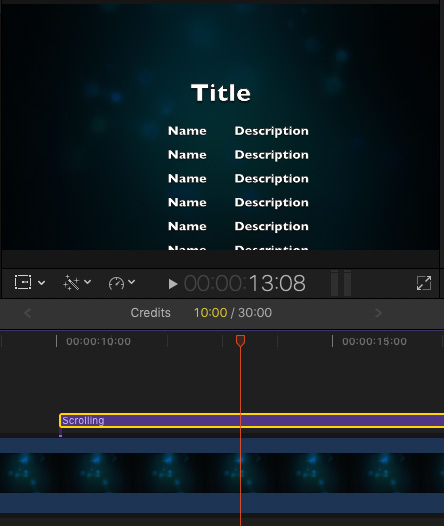 To deselect the text, click anywhere in the Layers panel except on the Title layer. As long as all your changes have been inside the existing Title layer, you won’t need to change any of the animation, is should just work. 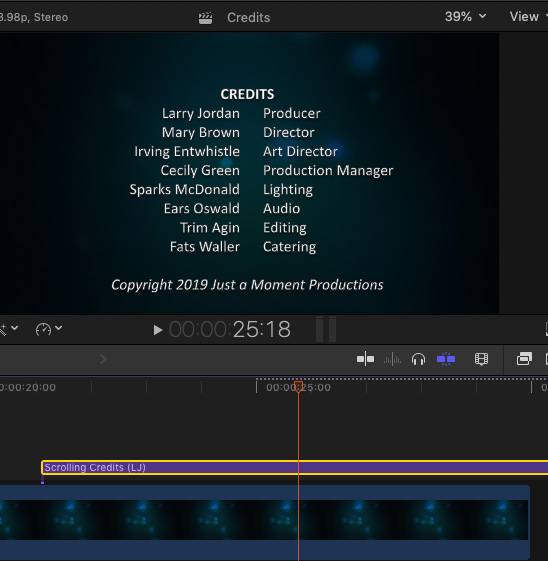 Again, just remember that the speed of the scrolling is based upon the duration of the clip in Final Cut. NOTE: This animation does not pause. 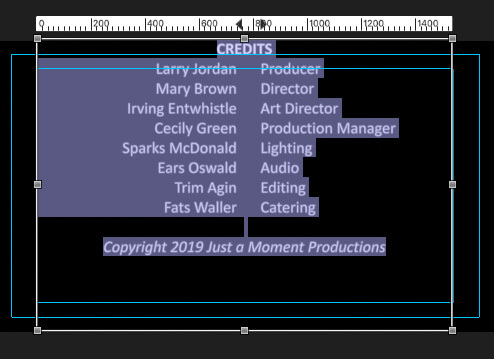 If you need the credits to pause at the end, you’ll need to use keyframes. Save your project, you’re done in Motion. 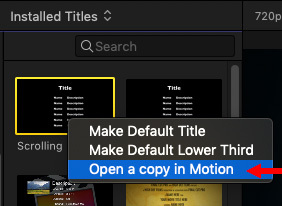 When you switch back to Final Cut, you’ll see the Motion project was added to the Titles Browser. NOTE: Your version may just simply have “copy” appended to the file name. 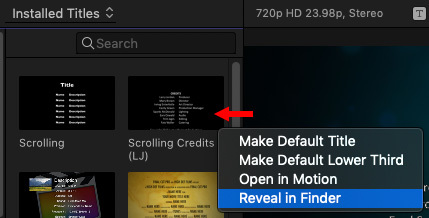 To change the name, right-click the clip and select Reveal in Finder. Then, change both the name of the Motion file and the folder that contains the file. The two names need to match. 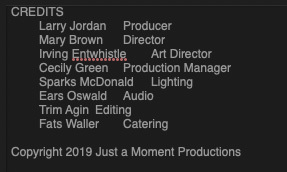 Apply the new credits to your project and you are done.